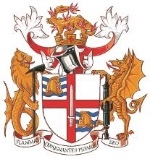 The Worshipful Company of Firefighters supports youth engagement schemes with fire and rescue services and the money raised will go towards supporting more of those activities. The lecture will help delegates to understand what is necessary to develop a national fire safety policy and is recognised for Continuous Professional Development (CPD hours). Jim Pauley, President/CEO of the National Fire Protection Association will be giving the keynote address based on the fire and life safety ecosystem developed by the NFPA offering that as a model. Roy Wilsher, Chair of the National Fire Chiefs Council will be discussing a practical way forward to deal with the necessary changes exemplified by the Grenfell tragedy. This lecture will help delegates to understand what is necessary to develop a national fire safety policy and is recognised for Continuous Professional Development (CPD hours). Ticket prices are now available. See below.